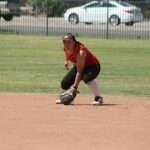 After being one of the top recruited softball players in the country in high school, Mandie Perez went from the softball field at Whittier Christian to the University of Arizona Wildcats. 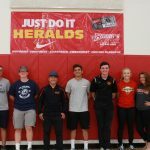 Read the article here about her preparation for her senior year and what she has gone through to get there. Way to go Mandie! 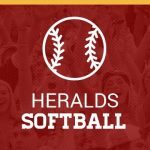 Girls Junior Varsity Softball, Girls Varsity Softball · Jun 29 Herald freshman Hailey Gallegos makes First Team All-Area! 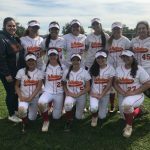 Girls Junior Varsity Softball, Girls Varsity Softball · Jun 9 Erica Romo Rotary All Star! 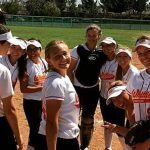 Congratulations to recently graduated Herald softball player Erica Romo, who represented WCHS in the 2016 Whittier Area Rotary All Star softball game! The game was held on Wednesday, June 8th, at York Field in Whittier. Erica played well and we are proud of her! Her all star team won in a landslide! 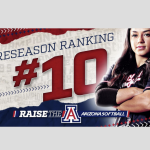 Girls Junior Varsity Softball, Girls Varsity Softball · Apr 28 Former Herald Softball player Mandie Perez’ big day at Arizona! Congratulations to former Lady Herald Mandie Perez on her big day for the Arizona Wildcats softball team. 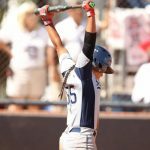 Mandie went 4 for 4 with 2 homeruns, scored 3 runs, and had 4 RBIs in the Wildcats 5-4 win over rival Arizona State! See the highlights and hear Mandie’s interview!